Home Blog Leasing Are Lenovo the future…? HardSoft Computers now have a great range of Lenovo PCs and Laptops available on a flexible lease basis; And starting at only £5.20 + VAT per week. Lenovo has always been considered as a bit of a boring brand when it comes to PC’s and Latops and has always taken a backseat to brands such as HP, Sony and Samsung. However, in recent months, Lenovo have really taken a step forward in the market. 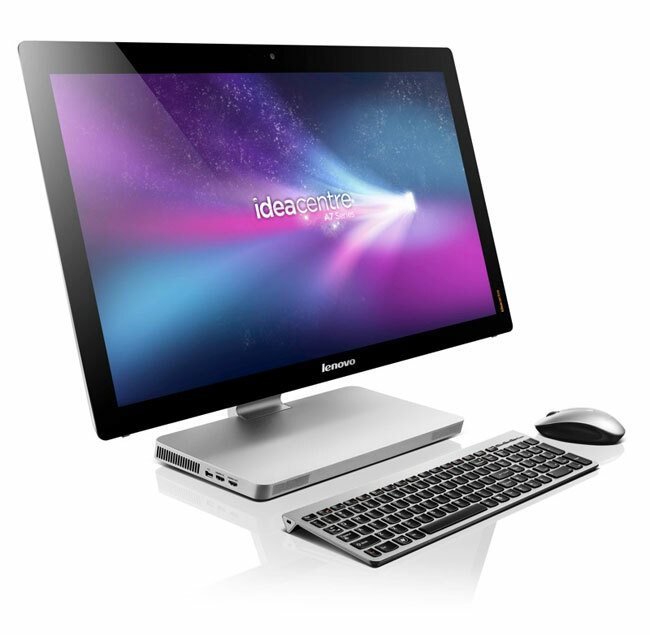 Firstly, they have released a new range of All-in-One PC’ s, for example, the Lenovo Edge 92Z is a mid-spec All-in-One PC with a Quad Core i5 processor running at 3.6Ghz. It also allows 16GB of memory, has a 500GB hard drive and a 21.5” Integrated Full HD Display. The Edge 92z is available on lease through HardSoft at just £6.20 + VAT per week. If you are after something a bit higher specced, then maybe the new Lenovo A720 All-in-One is for you. The A720 is packed with spec and includes a Quad Core i7 processor, 16GB RAM, 27” LED Full HD TOUCH Display and a GeForce 2GB Graphics Card. This really is a ‘powerhouse’ of a machine, however, you do pay for what you get as the Lenovo A720 will cost you circa £13.20 + VAT per week on lease. That is the All-in-One/Desktop PC side of things sorted, now onto the great new range of laptops that Lenovo have released. A ‘standard’ size laptop is a 15.6” screen, which the Lenovo ThinkPad E530 falls into. The E530 comes with an i5 processor, 4GB RAM as standard, a 750GB Hard Drive and an NVDIA 2GB Graphics card. This laptop will cost you only £6.25 + VAT per week on lease. You can also add a 16GB SSD into this machine for a small extra cost of £0.40 + VAT per week. This will increase boot up speed of the machine and increase overall performance. If you are after something a bit smaller and lighter, then the Lenovo ThinkPad E330 fits the bill, with a 13.3” LED Display and weighing just 1.7KGs. The E330 still has a core i5 processor, 4GB RAM and a 500GB hard drive so is perfect for everyday business activities. This laptop will cost you a little bit less than the Lenovo E530 at just £5.95 + VAT per week on a flexible lease through HardSoft. So, maybe when you are in the market for a new desktop PC or laptop, you may consider Lenovo as your next choice. For more information or a lease quote; please contact our sales team on 01279 718 693 or email sales@hardsoft.co.uk.